The U.S. assumption of a controlling interest in General Motors Corp. isn't the first time the government has nationalized a company or an industry. It has taken shares in banks, railways, steel mills, coal mines and foreclosed homes. Most nationalizations were during wartime. But the current financial crisis has generated more than a few. During World War I, the government nationalized railroads, telegraph lines and the Smith & Wesson Co. During World War II, it seized railroads, coal mines, Midwest trucking operators and many other companies including, briefly, retailer Montgomery Ward. President Harry S. Truman tried to nationalize the steel industry in 1952 to avert a strike he claimed threatened the Korean War effort, but he was blocked by the Supreme Court. Most nationalizations have been temporary. But at least one has endured - Amtrak rail passenger service. The National Railroad Passenger Corp. was established in 1971. Five years later, the Consolidated Rail Corporation (Conrail) was created with a federal takeover of six bankrupt rail lines. In 1987, it was privatized. In the financial sector, Washington seized the failing Continental Illinois Bank and Trust. The government operated it until 1994, when it was acquired by what is now Bank of America - one of many troubled banks in which the government has taken a non-controlling equity stake. In fact, nearly 600 banks nationwide have received a total of $199.2 billion under the government's $700 billion bailout fund, which was designed to boost their capital reserves and get banks to resume more normal lending. In 1989, the Resolution Trust Corp. was established to deal with the savings and loan crisis. The government-owned corporation took over more than 1,000 failed S&Ls and acquired an array of bad loans and foreclosed homes. It took six years and $125 billion to clean up that crisis. In 2001, the airport security industry was nationalized under the Transportation Security Administration as a response to the Sept. 11 terror attacks. Under terms of a proposed bankruptcy agreement, the U.S. and Canadian governments will own nearly 75 percent of General Motors, with the U.S. holding a 60 percent controlling stake and Canada with 12.5 percent. The UAW would get a 17.5 percent stake and bondholders would end up with the remaining 10 percent. Existing stockholders would be wiped out. President Barack Obama said Monday at the White House that the U.S. takeover is temporary. "What I have no interest in doing is running GM," he said. 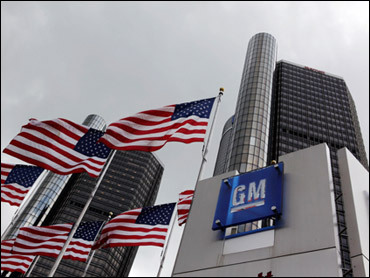 However, even if GM can emerge from bankruptcy protection in the 60-90 days it projects, it could take months or even years for it to unwind its shares, industry leaders suggest.